The High Flow, -10 vent valve assembly allows for system venting while preventing any debris from entering your fuel cell. The Flow Vent Valve, ITVV10AFC vent is equipped with internal spring loaded rollover protection to prevent fuel spillage. 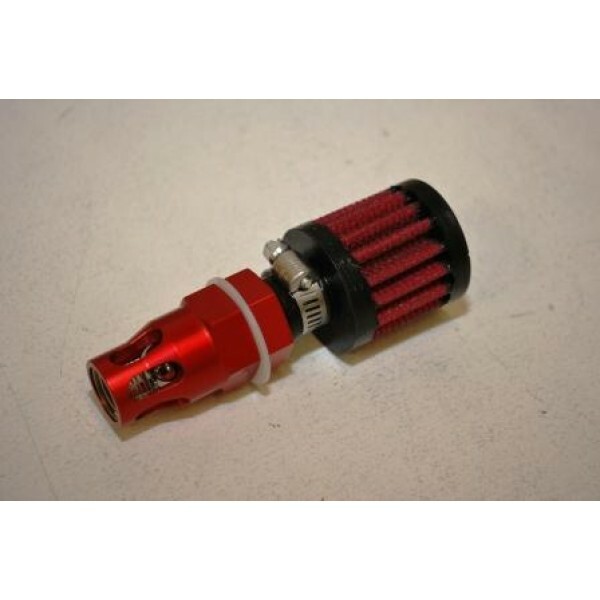 To keep your vent clean this vent valve features an integrated air filter to keep your fuel system running smoothly. This combination is ideal for dirt racing, desert racing, or any application where you may run the risk of particle debris entering your fuel system.